With years of experience in component-level Toshiba laptop repair service and support, Creative IT London offers expert Toshiba laptop liquid damage repair services for customers across the United Kingdom. We provide liquid and water spill damage repair for all Toshiba Satellite, Satellite Pro, Qosmio, Tecra, Portege and Toshiba Mini notebook models. Combining superior expertise and advanced diagnostic and repair facilities, Creative IT UK will help you get the right Toshiba laptop liquid damage repair solution for your laptop computer problems. Liquid damaged laptops may stop functioning properly for several reasons which may include laptop keyboard failure or motherboard damages. Sometimes your notebook computer may require a simple keyboard repair or replacement service (Toshiba laptop keyboard repair) or sometimes the whole motherboard may become damaged and it requires a complete replacement service. No matter whatever the case, we will advise you the best course of action by keeping your needs and your budget in mind. An integrated Toshiba laptop liquid damage repair task includes disassembling the machine and cleaning all parts down to the component level. Our expert technicians perform all the board level repair and replacement services using advanced BGA rework stations and equipment. In addition, we offer specialised Toshiba laptop data recovery for flood / water damaged hard drives (Toshiba laptop data recovery). If you require important personal data from your laptop, we can help you with our full range of data recovery solutions to complete your overall laptop repair and troubleshooting requirements. When a liquid or water spillage occurs, it is important to turn off your laptop, unplug the cord and remove the battery from the laptop computer. Bring your laptop to our Toshiba laptop liquid damage repair store in Central London as soon as possible or just ship it to us. We will make a same day diagnosis and inform you with the repair options along with an estimated cost. 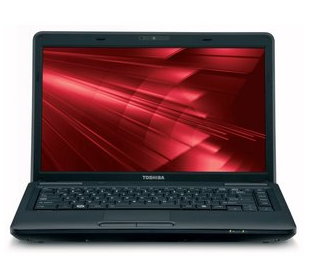 If you require help with any kind of London Toshiba laptop liquid damage repair and diagnostic needs for all Toshiba Satellite, Satellite Pro, Qosmio, Tecra, Portege and Toshiba Mini notebook computer models, please give us a call on 020 7237 6805. You can also fill out our quick contact form to get an instant repair quote or forward an email request to us at info@creativeit.tv.